Exclusive Interview: Rev. Sir Dr. Stephen T. Colbert, D.F.A. The reports are coming in from Stephen’s trip to Washington, D.C., today to stop by the FEC and file papers to formally request an advisory opinion on the formation of Colbert Super PAC. Throughout the day, the @StephenAtHome Twitter feed had regular reminders for people to join him at 4 PM at the FEC building. Read on for details of the day’s events! 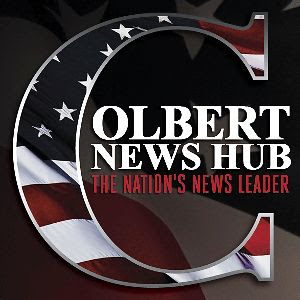 As a die-hard member of the Colbert Nation, I was amazingly jazzed to hear that Stephen Colbert had planned on following the footsteps of Sarah Palin and Mike Huckabee and form ColbertPAC – a Political Action Committee. Our friend and ColbertNation.com leader aegisknight gives us a PAC history lesson, and explains the formation options for the ColbertPAC.